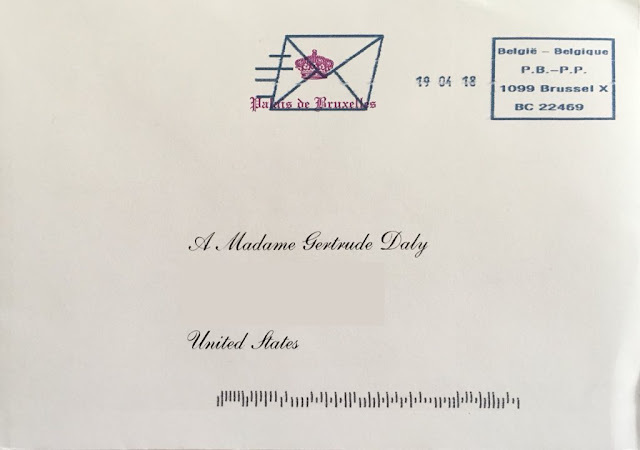 A reply arrived today from Belgium! 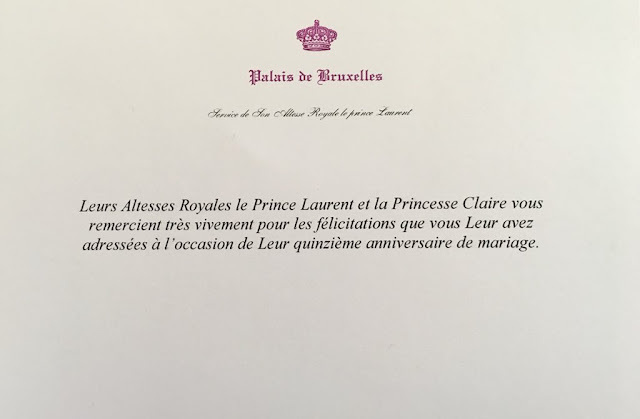 I had written to Prince Laurent and Princess Claire (King Philippe's brother and sister-in-law) to congratulate them on their 15th Wedding anniversary. They replied with a typical Belgium Royal Evelope (or a typical as it can be given the many different versions). The front features a purple crown with Palais de Bruxelles/Palace of Brussels written underneath. I love the fancy font of the address. It is something we see ocassionally from the Belgium Royals. Inside is the typical flat card. 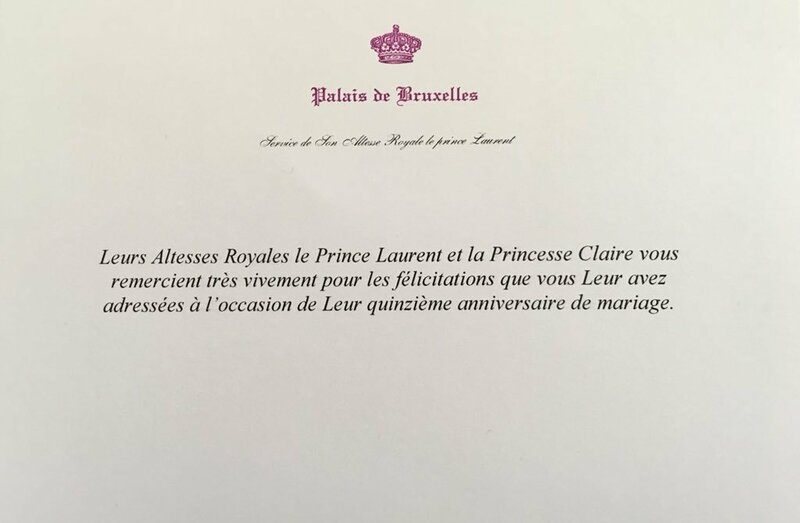 Their Royal Highnesses Prince Laurent and Princess Claire thank you very much for the congratulations you sent them on the occasion of their fifteenth wedding anniversary. What is the address for Mrs Zary Phillips ( Tindall) ? You want to send your letter/card to Princess Anne's office at Buckingham Palace. They will forward it on to Zara.